The Woodbury™ Round Golf Tag is a great give away to all your premium clients in the top management who move around with their peers and make crucial decisions while on the grass. With your company logo imprinted this sports accessory greatly enhances your branding and hence can become a very useful marketing tool. Imprint Area : 2.5" dia. The Woodbury™ Round Golf Tag is a great give away to all your premium clients in the top management who move around with their peers and make crucial decisions while on the grass. With your company logo imprinted this sports accessory greatly enhances your branding and hence can become a very useful marketing tool. 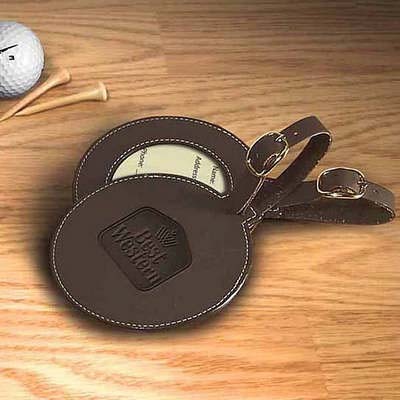 Crafted from durahide leather the Golf Tag thoughtfully includes a name and address card on the opposite side. A fantastic give away indeed!